Newcomers and lifelong residents of Plano can tell you moving to the North Texas hot spot has changed their lives. With world-class parks, shopping that rivals what you would expect in fashion-forward cities like New York and a public school system among the top in the county, Plano truly has something for everyone. And it’s not just a city that’s attractive to families, couples and singles. More national and international companies are moving their corporate headquarters to the business-friendly region every month. Here are 10 ways moving to Plano will change your life. 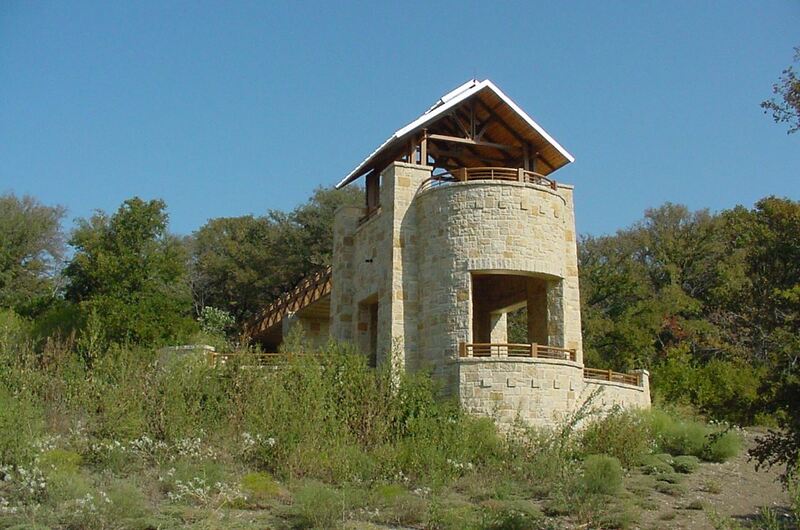 On the city’s west side, a popular spot for nature watching and recreation is Arbor Hills Nature Preserve — a 200-acre park where visitors can hike up to the top of the preserve’s observation tower and take in sweeping views of the park and city. During the spring, the park is a popular spot for Texans eager to snap that quintessential photograph in a field of bluebonnets, too. The preserve offers visitors a rare look at three distinct and diverse ecoregions — blackland prairie, riparian forest and upland forest. The diverse habitat makes it a nature lover’s dream. The nonprofit environmental education group Audubon Society has certified Arbor Hills Nature Preserve as a Cooperative Sanctuary Site. It is also a member of the American Kestrel Pertnership, a group mobilized in 2012 under the direction of The Peregrine Fund to address unexplained declining populations of the kesterel in North America. But skateboarders and hover boarders beware, those modes of transportation are banned from the nature preserve. The park, located at 6701 W. Parker Road, is open daily from 5 a.m. to 11 p.m.
For non-native Texans, the images broadcast to the nation from the set of the wildly popular television series Dallas, which aired from 1978 until 1991 and again from 2012 until 2014, are probably what come to mind. While that may not be the most accurate representation of life in north Texas, Southfork Ranch — where the show was set and filmed — is open for tours, conferences and events. Touted as the “world’s most famous ranch,” it’s also ranked on Tripadvisor.com as one of the top attractions in the greater Dallas area. Known to fans as the Ewing Mansion, the home was built on the 200 acre ranch in 1970. Made famous by the television hit, it slowly evolved into the major tourist attraction it remains today. And the ranch is open daily for tours starting at 10:15 a.m., running every 45 minutes until 4:15 p.m. Tickets are $15 for adults, $9 for children ages 6 to 12 and free under 5. Oak Point Park and Nature Preserve, at 800 acres, is the largest park in Plano and sits on the city’s northeastern edge. The park is a boon for hikers, bikers, kayakers and nature lovers, and even accommodates horseback riding. The sprawling greenspace also has eight miles of trials, including soft-surface trails bordering Rowlett Creek as it meanders through the park. This park also plays host to the annual Plano Balloon Festival in September, a three-day event where hot air balloons take to the skies every evening and morning. General admission for that event is $10 and tethered rides are available for those interested in a bird’s eye view of the city’s biggest park. 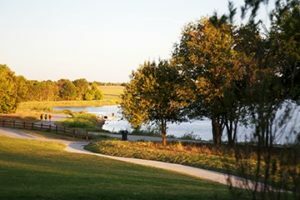 The massive park is no doubt one of the reasons why this year Plano was ranked as the 18th best city in the nation when it comes to park access and quality in the annual rankings released by the Trust For Public Land. The park, located at 5901 Los Rios Blvd., is open daily from 5 a.m. to 11 p.m. This park neighbors Oak Point Park and Nature Preserve to the south, and is connected to it by biking trails. Visitors can enjoy hiking and biking, a fishing pier, sand volleyball and even zip line through the park. But perhaps the crown jewel of this park is what experts believe to be the oldest tree in the city. Aborists estimate Plano’s Bicentennial Bur Oak is more than 500 years old. And the park is popular with runners and a local running club, the Plano Pacers. The Pacers host 5K and 10K races there the last Saturday of each month, starting at 8 a.m. at the pavilion. Those races are $10 a pop and a free 1K for children under 12 starts after the adults are done. Four-legged friends will soon enjoy this park, too. The Plano City Council in August voted to approve construction of a $1.8 million dog park. And the 6.5-acre project is slated to be completed by the end of 2019. The park, located at 2601 San Gabriel Dr., is open daily from 5 a.m. to 11 p.m. This old neighborhood made new again, located on 15th Street, just east of Highway 75, is where Plano got its start. Known for its specialty retail shops, antique stores, clothing boutiques and more, merchants in the area organized into a nonprofit group in 2007 to preserve the character of the city’s historic core. The district, which boasts original brick streets from the 1800s, was recognized by the National Trust for Historic Preservation in 2016. Today, it features restaurants, housing, and office space, making it a neighborhood where residents can truly live, work and play. Haggard Park has a prime location in the middle of downtown Plano. It’s a local favorite during the holiday season for its marquee event, Dickens in Downtown Plano. 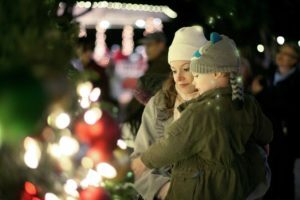 It kicks off the Christmas season on Nov. 30, and features carolers, a reading of the Polar Express, a tree lighting, horse-drawn carriage rides, s’mores and more. The Interurban Railway Museum — the only free museum in the city — is located inside the downtown park. It’s housed in a building that was formerly the primary stop on the Texas Electric Railway that ran from Denison to Dallas from 1908 until 1948. Visitors can get a look at the history of the city, and take in exhibits about electricity and science. The park, located at 901 E. 15th St., is open daily from 5 a.m. to 11 p.m.
Plano’s school system is consistently among the top in the state. Niche.com, which releases annual rankings of schools based on an analysis of data from the U.S. Department of Education, Plano Independent School District is ranked 10 out of 995 statewide. Plano’s schools also are ranked as among the most diverse in the state. When compared with 10,758 districts across the nation in academic rankings, Plano landed at 103 on the list. Troy Olson, a realtor and team leader with Century 21 Judge Fite Company, has lived and worked in the north Dallas area for 13 years. And last week he helped a high-end client look for a home and the final decision came down to school rankings. “I have a staff member who spent seven years working for a school and we have a very in-depth report we put together for our clients so they’re aware of the rankings,” he said. Texas Gov. Greg Abbott has had a rallying cry for years now, telling outsiders that “Texas is open for business.” Multinational corporations have headed the call. Toyota, and JPMorgan Chase are among the newcomers to the scene. Other companies headquartered in Plano include JCPenney, Dr Pepper Snapple Group, Frito-Lay, Pizza Hut, PepsiCo, and more. The robust economy those companies provide, as well as the plethora of job opportunities, would be tough to match in any other city. The benefits of doing business here caught the attention of Amazon, which named the city a finalist for its HQ2 headquarters. Olson said he’s seen the number of corporations moving to the greater Plano area explode. Corporate relocation now accounts for more than half of his business, he said. And he’s helped several hundred employees for Fortune 500 companies find their new homes. Shopping opportunities in Plano are anchored by three distinct shopping districts called Legacy West, The Shops at Willowbend and The Shops at Legacy. The recent opening in Legacy West of Neighborhood Goods, which was hailed by national media as the “store of the future” bolsters its reputation as a shopping district second to none. Neighborhood Goods sets itself apart by selling direct-to-consumer brands like Hims and MeUndies. Tesla has opened a showroom in the 255-acre, open-air Legacy West shopping district, nestled among many other high-end retailers. The Shops at Willowbend will play host this Thursday, Nov. 29, to the Plano Beer Walk, offering more than 45 beers from Texas, Louisiana and Oklahoma. Proceeds benefit the North Texas Performing Arts organization, so you’ll be drinking for a cause. The Legacy West district offers patrons both unique and numerous dining options. That includes the largest food hall in North Texas, Legacy Hall. Legacy Hall is perfect for the hungry foodie who can’t decide exactly what to eat. Because it features everything from lobster rolls and tacos to Philly cheesesteaks and the Unlawful Assembly Brewing Co., everyone can find something. Barnes & Noble Kitchen, which offers food and as well as a beer and wine list , and upscale steakhouses like Del Frisco’s Double Eagle are other options. And don’t forget dessert. Hit up Spinkles for a cupcake after dinner. Plano has a lot to offer your family from parks, festivals, shopping, and culinary exploration. If you think moving to Plano is the right decision we would love to welcome you to the community. Feel free to reach out to us via our Free Online Quote or give us a call at (214)662-1191 and one of our friendly Move Coordinators will assist you with all your moving questions.